You are now leaving FirstOak Bank’s website and are going to a website that is not operated by the bank. We are not responsible for the content or availability of linked sites. 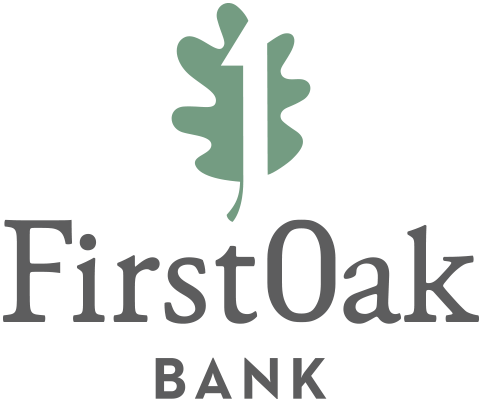 First Oak Bank offers links to other third party websites that may be of interest to our website visitors. The links provided in our website are provided solely for your convenience and may assist you in locating other useful information on the Internet. When you click on these links you will leave the FirstOak Bank’s website and will be redirected to another site. These sites are not under the control of FirstOak Bank. FirstOak Bank is not responsible for the content of linked third party websites. We are not an agent for these third parties nor do we endorse or guarantee their products. We make no representation or warranty regarding the accuracy of the information contained in the linked sites. We suggest that you always verify the information obtained from linked websites before acting upon this information. Also, please be aware that the security and privacy policies on these sites may be different than FirstOak Bank’s policies, so please read third party privacy and security policies closely.